Before understanding what is the right time to visit the Bahamas, you need to know their location. The Bahamas archipelago is located in the Atlantic Ocean, east of Florida and north of Cuba. Mistakenly you might think that the archipelago everywhere tropical temperatures: in reality, its climate is subtropical in the north and typical tropical in that Southern. One factor that affects a lot of temperatures is the wind: the trade winds are blowing a little ‘anywhere in these islands. Also know that the rainy season covers the period from late April to early November. To the north-west (as Grand Bahama and Nassau) islands are characterized by lower temperatures in winter (December to March), under the action of fresh air masses coming from the United States, wind, a bit ‘of cloudiness and increased summer rainfall. In general, in the winter months the best climate is found in the southern islands, with a daily average temperature tends to be more high. The differences between the northern and southern islands almost vanish in the warmer months of summer (July and August): Media are 27-28 ° C in the north and 28-29 ° C in the south, with its a pretty high. The sea is warm and you can swim all year round, a bit ‘colder winter in the northern islands. The sun is always present during all 12 months, interrupted only by showers or thunderstorms occurring mainly in the evening or late afternoon. Beware though, the hurricanes that may affect the period from June to November, with a higher probability between August and October. If you are planning to take a holiday in these beautiful islands we recommend the period that corresponds to the dry season, namely from the end of November to mid-April. In the north-western islands the temperatures do not allow you to make the beach life from December to March, so it is suggested the month of April or May, in which, however, they will already start the first rains. The summer in the Bahamas, however, is hot and muggy, complete with alternating sunshine to thunderstorms, too intense, and the possibility of running into hurricanes. 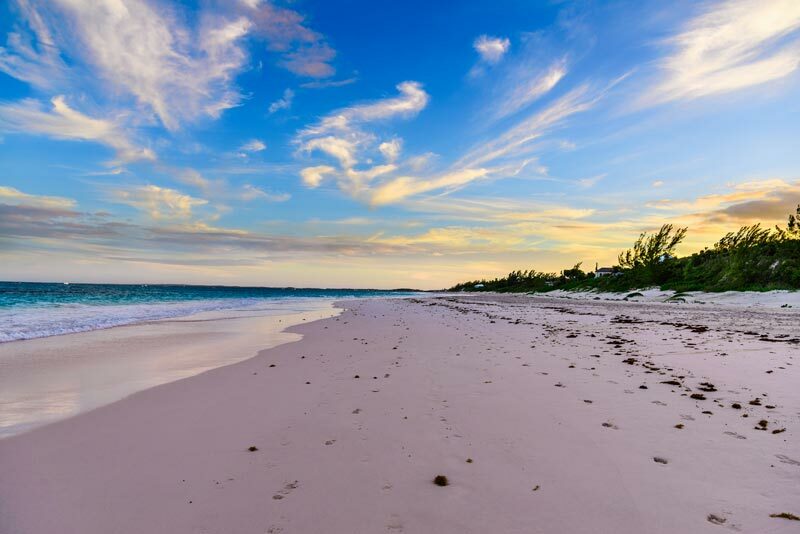 If you travel in the summer, you can choose in July, a period that offers a brief break from the rain (excluding, however, Nassau and western islands).